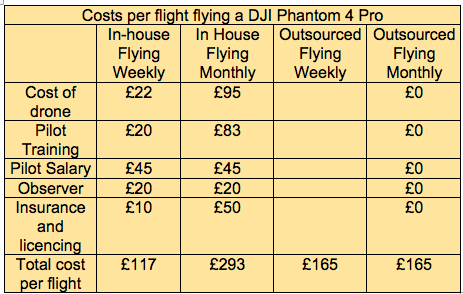 Estate Agents – Why Use Aerial Video & Photographs? We found this article on a US website and thought it would be good to share here so that estate agents in the UK could benefit from the article too. I haven’t edited it at all so you may have to translate from American to English in places. You can read the original by clicking on the underlined link at the top of the article. It’s full of good information from how drone footage helps sell properties to how you could do it yourself. If you would rather not go through all of the training, licensing, capital costs and insurance etc then there are tips on how to choose someone to do it for you. For FAA read Civil Aviation Authority (CAA) in the UK. The rules are a bit different in the UK so you should read my blog about this which you will be able to find here when I have written it! If you can’t wait just drop me an email or give me a call. If you would like to discuss using drone video and photographs in your property marketing just get in touch. This guest blog post was written by Shaun Daggett, an FAA licensed UAS pilot based in Colorado Springs, CO.Everywhere you turn these days, drone video is a hot topic. 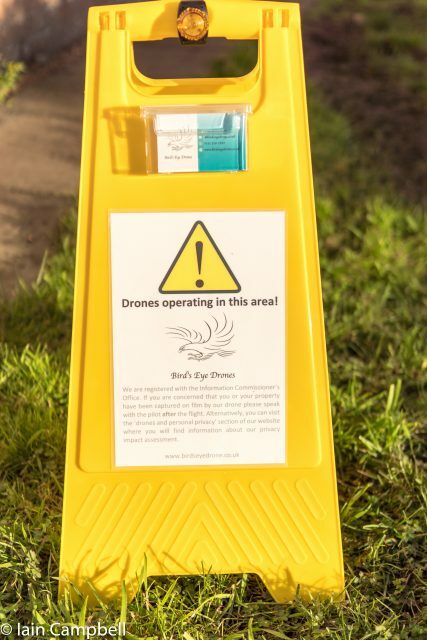 You see drone video footage in just about everything you watch online and on TV, and marketers are now enthusiastically adopting drone video as a big part of their digital marketing campaigns. This is because we can’t stop watching when we see things from an aerial perspective.But marketing videos are just one high profile use of this emerging technology. Most people scoffed when Amazon said it would one day use drones to deliver orders, and many thought this would never happen, but ABC News recently reported that Amazon has completed its very first “Prime Air” delivery via drone.The business of drones is expected to be a multi-billion dollar industry in the next few years, and it is starting to have a major impact in some key business sectors. Drone video captivates us immediately, making it highly effective for marketers. Our minds are not accustomed to seeing images from these perspectives, so when we see drone video footage, it stops us dead in our tracks – and we watch.This undeniable fact is why marketers are so drawn to drone footage. And Realtors may be in the best position in 2017 to take advantage of the new FAA rules to sell more listing and sell them faster by using drone videos. Case in point: I recently had Rick, one of my clients, use a drone video to sell a listing within just 1 hour of the first showing.Here’s what he did: As you can see from the image below, there was nothing special about this listing. As a matter of fact, it is exceedingly ordinary. But this house had a hidden secret, and Rick knew if he could get buyers past this image, he could overcome the less than stellar curb appeal. The hidden secret was that the house has an amazing back yard, and across the street were an elementary school and a big, beautiful city park.He put the listing in the MLS system with only one image, and a link to the drone video below (you can’t upload video to the MLS system just yet, but you can put a link).You can see that the drone video highlighted these hidden features. And by not putting additional images in the MLS system, he got potential buyers to see the drone video first.He made the listing visible in the MLS system on a Friday evening, letting other agents know it would not be officially listed until Sunday at 2PM. More than 180 agents sent this listing to their buyers by noon the next day. And by Sunday, 18 people expressed interest in the property. Rick scheduled the first showing for 2pm Sunday and by 3pm, he had an acceptable offer and the house was sold.Here is the drone video he posted: As you can see, drone footage of an ordinary home can make it look extraordinary, and this is why so many real estate agents are moving in this direction.Ricks results are not very typical; in all fairness, I have never had any other clients sell a house in 1 hour with a video I shot for them. But my clients often share with me that the drone videos have a significant impact on how much interest they receive in a listing.Even though this example isn’t typical, it clearly illustrates the potential drone video has to show off a listing in a way still images just can’t. One of the amazing things that happened when the FAA revised the drone laws in the fall of 2016 was they allowed anyone over the age of 16 to legally operate a drone for commercial purposes.To legally take drone footage for business use, you have to posses an FAA UAS Pilots License under Part 107 of the new rules, but there are no restrictions as to who can get this new License. Prior to this new Part 107 rule, you would have needed a “Section 333 Waiver” – and that was only available to existing licensed pilots (and took 6 to 12 months to get). Without getting too deep into the (super boring) regulations, this new Part 107 rule from the FAA replaces the Section 333 Waiver and makes it possible for anyone over the age of 16 to legally fly a drone for commercial purposes. The only caveat is that you must take an Airman Knowledge Test at an approved testing facility, and submit your test results to the FAA and apply for your Unmanned Aircraft System (UAS) Pilots License. As a UAS Pilot myself I have flown many missions, and real estate flights are one of the most challenging. This is because it’s what I consider “tight flying” with several obstacles and hazards. I highly recommend you spend many hours practicing before you fly over a property that you don’t own. When you consider the millions of dollars that large, multinational corporations spend to keep your attention for 30 seconds during a TV commercial, it’s evident that it’s hard to hold peoples attention for any length of time. So be sure you don’t create videos that exceed our ever-shortening attention spans. Drones of today can shoot in 4K “Ultra High Def” and those files are huge. If you aren’t going to use your videos in a TV commercial or an IMAX movie, there’s no need to shoot higher than 2.7K. You will be restricted on the file size of the video you upload to most sites as well, so here is no need to create ultra high def videos. If you watch the video above with the volume turned down, you will immediately understand this tip. But you can’t just use your favorite Garth Brooks music, you need to use royalty free music (search YouTube, there is a lot out there) or license it from a reputable source. Be sure that you’re aware of, understand, and follow every federal, state, and city drone regulation. Failure to do so can put the general public at considerable risk and/or you could face some stiff fines from the FAA or local authorities.Yes, drones are very affordable these days – and the advances in their technology make flying them a breeze. But before you rush out and buy one, consider the challenges they come with, as well. Sometimes it can be easier and more efficient to hire a pro to shoot and edit drone video for you. High-quality drones are more accessible than ever before, and it seems as though it would be easy to get one and shoot your own videos, but getting a UAS Pilots License, learning to fly, editing videos, getting insurance and so on, may not be for you. 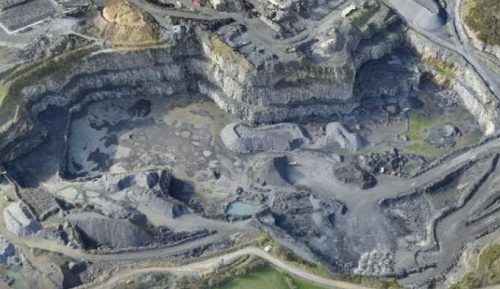 Hiring a professional drone service may be the best option. If you prefer to hire a drone pilot to create videos for you, here are a few tips to help you find the right drone pilot for the job.My first bit of advice is to stay away from Craigslist when looking for a pro. 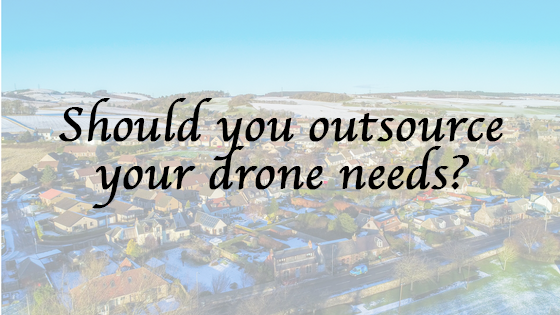 There are so many people who got a drone for Christmas and think they can simply go out and shoot videos for realtors and make an extra buck, but 99% are not experienced, not properly licensed or insured in any way. This can get you, your client and your broker in hot water with the FAA or even worse if an accident happens. (And accidents do happen. )Hiring a drone service is pretty straightforward, but here are a few quick tips to help you make sure you hire the right person for the job. 1. Google search your area for reputable drone companies – stay off Craigslist. 2. Only hire an FAA UAS Licensed Pilot, and ask to see their Pilot’s License (they issue an actual card that looks similar to a drivers license). 3. Ask for proof of specific drone insurance coverage, not just general liability coverage. 4. Ask for a reference from other agents in your area. 5. Ask to see several samples of their work. 6. Be sure they specialize in real estate videos (not just still images). 7. Speak to more than one company and ask for firm quotes. 8. Ask them to check the property address to verify it isn’t in restricted air space before you have them come out to a listing. 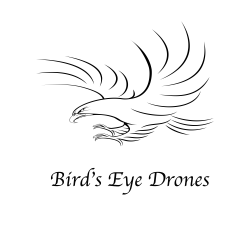 There are a lot of very complicated regulations when it comes to the FAA and drones, and by hiring a licensed drone pilot you can expect he/she will know every single one – and fly in accordance.Licensing and insurance are the two most important factors to check when hiring anyone to shoot drone videos for you, but flying skills are also very important.You want your video to look great, so be sure the pilot you hire has some creative skills as well. Drone videos for real estate listings will become increasingly common in 2017 and in the years to come. Now is the perfect time to investigate using them for your business and getting ahead of the curve.The new FAA Part 107 rules finally allow real estate agents and brokers the ability to legally use drones to market their listings, and I highly recommend you take advantage of this new opportunity!The captivating imagery that one is able to create with drones can become a powerful tool to get your listings noticed in a crowded market, and sell it faster than you ever imagined. A Big BombBomb Thank You to Shaun! Thanks to Shaun Daggett for sharing these tips and insights! He’s an FAA UAS Licensed Pilot as well as a Certified Digital Marketing Professional at The Pikes Peak Guy Drone Services based in Colorado Springs, Colorado.